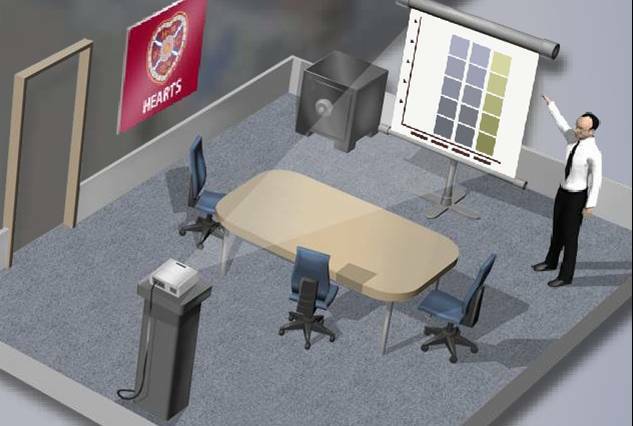 Straylight Studios have been specialists in interactive training and simulation since 2004. Based in Dunedin, New Zealand, with a growing global presence, Straylight aim to be a key proponent of the revolution which is bringing the magic of interactive entertainment to the masses. Their products are utilized in educational institutions, at the workplace, and at home to enhance the lives of everyday people by providing them with a playful interactive environment in which to further themselves. Straylight believes that Serious Games developers should look to make their content more accessible by utilizing elements of play and considering how they can design interfaces that make sense to everyday people. 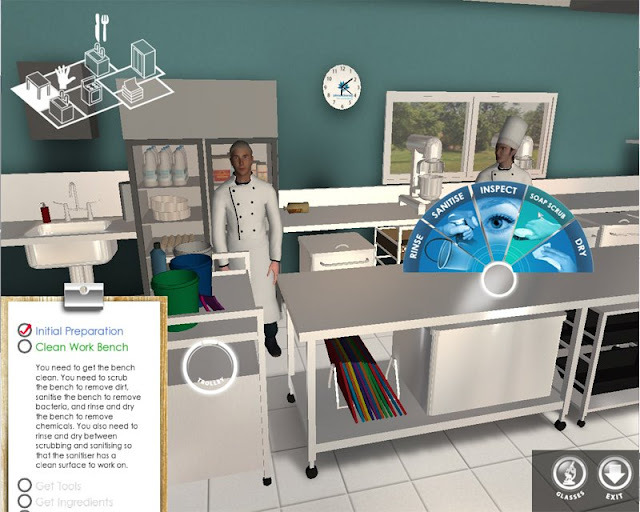 In a world first, Straylight Studios announced late June 2007 the pilot release of their Virtual Kitchen Training Environment, raising the bar for food safety training and firmly establishing the company as a global competitor in the Serious Games marketplace. Straylight’s CEO, Tim Nixon, has been guiding the company’s vision to bring games to the mass market by finding immediate vertical opportunities in the Serious Games sector. Previous Straylight developments focusing on such markets as Small Business and Injury Prevention training have paved the way for this intuitive educational tool. Mr Nixon states that the unique challenge with mass market games lies not in driving graphics performance, but rather in “building an intuitive interface that can be understood by someone with no existing computer skills.” The team at Straylight offer a unique perspective in that their combination of design and engineering expertise drives a user centric approach, whether that user is a computer whiz or café kitchen hand. In this Serious Game, players are walked through a day in the life of a real world kitchen hand, thawing meats, baking pies, and preparing sandwiches. Throughout the process the player must observe all the correct food safety standards such as cleaning down benches, checking temperatures of food, and washing hands. After being guided through the process once by a virtual tutor, the player must then complete the tasks on their own. Should they follow all the correct food hygiene steps, the player will pass and walk away with the required knowledge to safely work in a food handling environment. 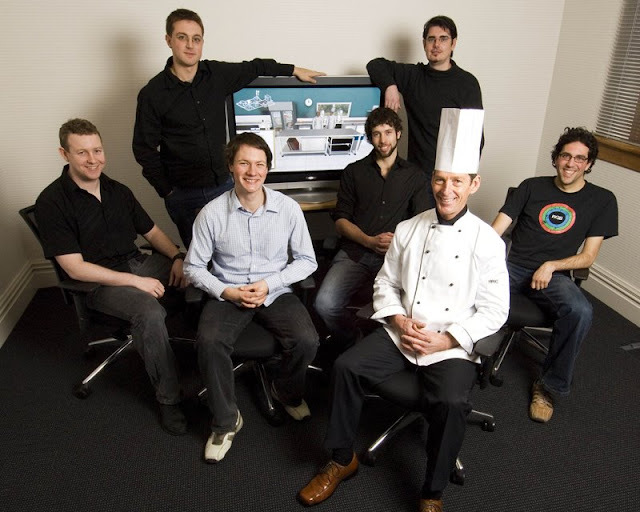 The first client of The Kitchen, Otago Polytechnic, who trialed the technology within their campus. Mike Waddell, Marketing and Business Development Manager for the Polytechnic, cited the “high turnover of staff in the hospitality industry and constant concern about standards” as key issues demanding new approaches to a traditional problem. As the list of queuing clients grows locally, the focus now shifts to the international marketplace, in particular to Europe, where world leading partners are already making plans to adopt the technology into their catalogue. 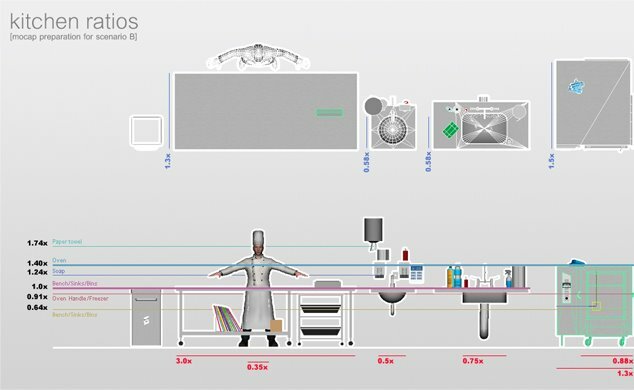 Developed to increase the standards of food safety, The Kitchen simulates a day in the life of a chef, challenging the user to prepare the lunch rush in a cafeteria. The Small Business Game is an educational game where students run their own football franchise store. 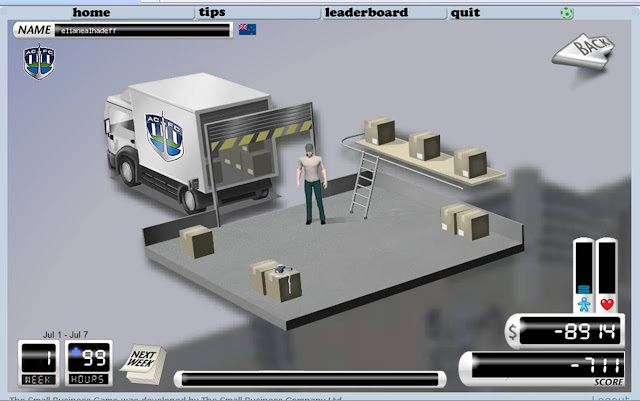 Developed in partnership with The Small Business Company (TSBC), this online Flash game is linked to the New Zealand school curriculum, giving high-school students control of a sports store to teach them about entrepreneurship. 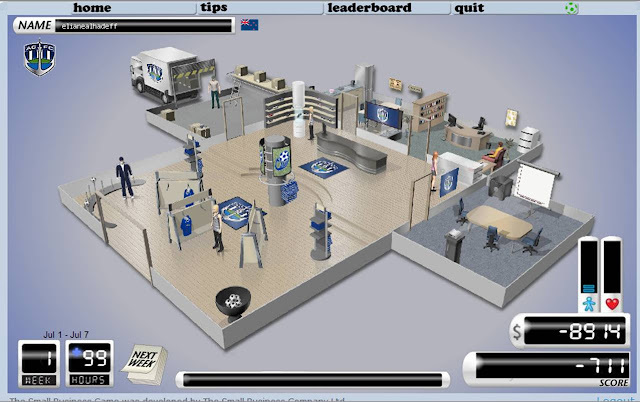 The Small Business Game was launched late 2007 in New Zealand as a free resource for high school students to learn how to run a business. 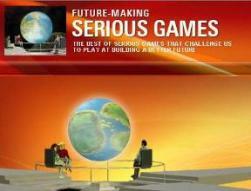 The game was also launched in Scotland using funding provided by Microsoft Partners in Learning. TSBC worked closely with the SQA, Microsoft and retail experts to develop a game that challenges students to build a retail business that succeeds financially as well as socially.The game was successfully piloted in Scotland in April 2007 with 260 schools registered with an estimated 85% of business students having played the game in the first 6 months. 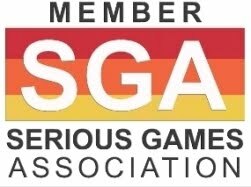 Student and Teachers in Scotland have overwhelmingly endorsed the game. The game provides opportunities for students to develop the crucial skills and knowledge allowing them to access, understand the business and enterprise environment. Consultation with retail experts has resulted in a game that includes real to life events including variations in product demand (based on calendar events) and realistic scenarios (external events and influences) that the player must deal with as they progress through the game virtual year. Each game starts at week 1 and moves through to week 52 when the game ends. You can leave and come back at any time – the game is saved from your last week of inputs. A game week is pretty much like any week in a retail sports store business. Each week customers come in, browse and (maybe) buy a product from you. Each week you need to make sure that you have enough stock for people to buy, manage your cash and keep you eye on what is happening. Winning is about more than just money in the bank as players must care for their staff and wider community as well to get the best score. The Small Business Company works with government agencies, banks, accountants, large business and industry associations worldwide to provide educational content to small business owners. Clients include Microsoft, HSBC (UK), Royal Mail and Government agencies in England and Scotland, Australia and New Zealand. Since 2000, The Small Business Company has been using games and simulations in schools to teach enterprise, linked to curriculum, supported by teachers and enjoyed by over 20,000 students worldwide. The company has offices in Christchurch, Wellington, Seattle and London.